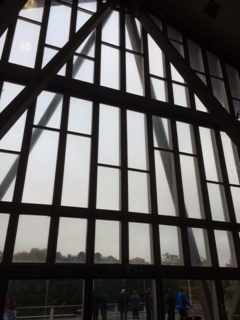 Whilst at Crystal Palace National Sports Centre London SE19, we noticed that the radiators at about 20m above floor level! This is an original design feature. What a waste of heat? But maybe it will stop moisture condensing at high level!